The M2i.47xx series allows recording of one, two, four, eight or sixteen channels with sampling rates of 100 kS/s up to 500 kS/s. 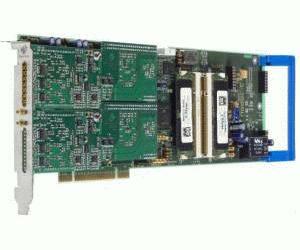 These cards offer outstanding A/D features both in resolution and speed for PCI/PCI-X. They are available in several versions and different speed grades making it possible for the user to find an individual solution. The installed memory of up to 2 GSample can be used for fast data recording or sustained data streaming. The enhanced FIFO engine is capable of streaming even 16 channels with 500 kS/s sustained to memory or hard disk.